I’ll just keep this simple. This top part of this page will not change so it can be linked out and be the same as you link it. Here goes. With any hurricane there will be pictures of damage, because all hurricanes do damage. The type of damage says it all. And in the case of Michael, the type of damage indicates most winds were 80 mph with one small section at around 90 mph. It was not the 155 mph super storm and I can prove it. 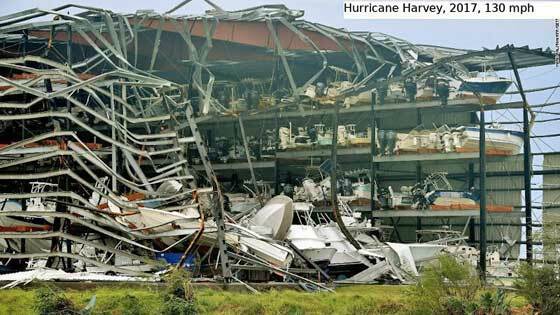 In order to scam the world with a carbon tax, hurricanes are being lied about so the now “frequent high intensity and occurrence” of hurricanes can justify the mantra on global warming, and scam the public into thinking we are destroying the planet. Every storm is now the storm of a lifetime, and I am sick of it. So let’s get this ball rolling. This is a storm surge shot, and all hurricanes have storm surge. look in the background on the businesses. 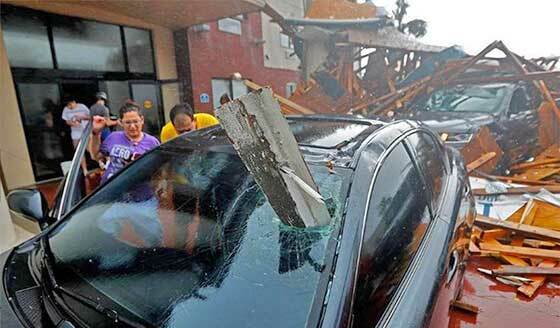 All the windows are intact, and if the winds were 155 mph none would have been in one piece from over stress alone, and with all that debris there that would have been thrown into them. So what we have here is a picture where a wave washed something in. Nice board through the wind shield for drama, but that can happen with mundane storms. Harvey had winds that were supposed to be 25 mph less than Michael. Yet the damage characteristics for Michael don’t add up to that. Hurricane Charley was supposed to be less of a hurricane than Michael. If we don’t see these types of photos from Michael (and we won’t) THEY LIED. 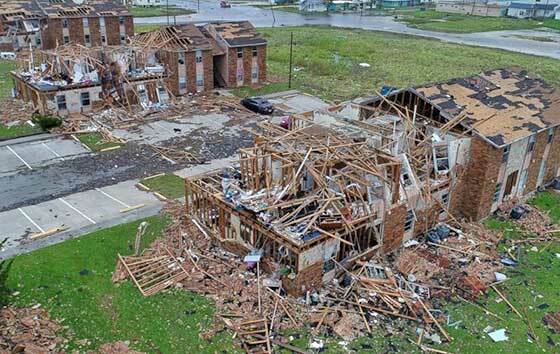 The only photos coming out of Michael are storm surge photos (which I avoided using in photos of other hurricanes because all produce it and it is always damaging so it is not a reference) and things like pictures of downed trees, gas stations and other tight shots. Trees can go down in 70 mph winds. The 95 mph winds Michael produced would be tree doom (sic). 95 mph winds would knock gas stations over. 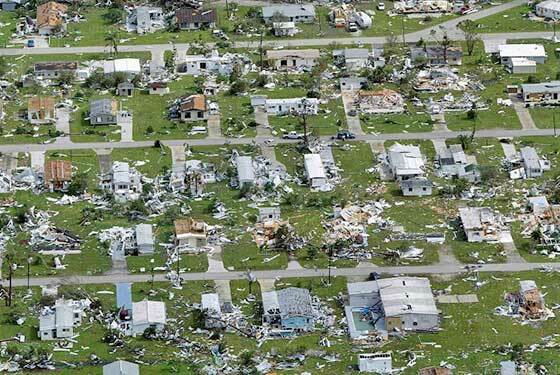 But they won’t produce pictures like the ones I posted from other hurricanes and therefore, even now after more pictures have come out, it is clear Michael had a fake rating. This entry was posted in * End GAME - GOOD vs EVIL, * FREEDOM FIGHTERS, * INFORMATION SOURCES, * MILITARY FORCE UNITS, Break-out of THE MATRIX, IMMEDIATE ATTENTION, JIM STONE Reporter, MILITARY RESOURCES, SURVIVAL INFORMATION, UNITED WE STAND UP, URGENT MESSAGES, WHAT IS HAPPENING ?, What's Up - Dark Cabal. Bookmark the permalink.